The holidays are in full swing here in Nashville and there’s no better excuse to pop some bubbly and pull together a festive gathering with your nearest and dearest. The details seem daunting? Think again! Below you'll find some of Snyder Entertainment's must have entertainment elevations, all provided by us. Think of us as your one-stop shop for all of your entertainment needs. Don't get your tinsel in a tangle, let us help you plan your winter celebration! It isn't Christmas time until you hear your favorite holiday tunes! Let one of our professionally trained DJ's play some of the biggest holiday hits at your party. We promise to have all of your guests rocking around the Christmas tree + juju-ing the jingle bell rock all night! Don't forget to add in some upgrades from us like red and green glow sticks and elf hats for your guests! What is a holiday celebration without the colors of red + green? Without Christmas lights? Without string lighting? Without up lighting to transport you to a winter wonderland? Without lighting your event becomes just another boring holiday party. We will make your guests feel like they're traveling through the seven candy cane forests, and our motion lighting can create the illusion of stars, snows, and much more. Not to mention our custom holiday themed gobos! So turn up the festive feelings and let Snyder Entertainment bring our custom designed lighting package to your party! Our photo booth is guaranteed to excite your guests; I mean we all know that everybody secretly loves showing off their favorite tacky sweater. Pair your booth rental with a custom template designed to compliment your event, a fun backdrop, all of the holiday props you can dream of, and let your guests take home their picture perfect print out! 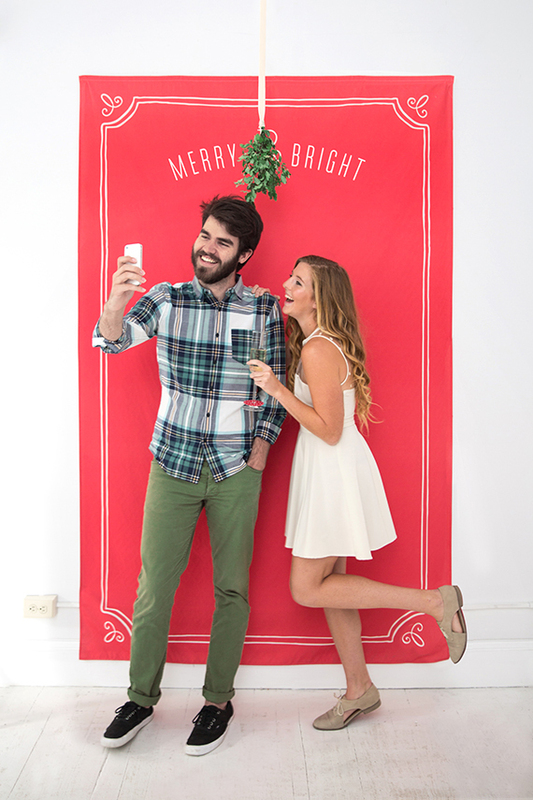 Pro Tip: Hang mistletoe above a photo backdrop to encourage kissable photo-ops! "The best way to spread Christmas cheer is singing loud for all to hear!" In other words, include karaoke! Our karaoke set up includes a large flat screen TV with scrolling words, to easily guide your guests through their song choices. Who doesn't love singing their favorite Christmas carols? Let Snyder Entertainment bring karaoke to your party, and let your guests fa la la la la la all night. Want to really impress your guests? Let us bring our Murder Mystery Experience to your party! Your company is throwing a Holiday Party with a comedian to bring on the laughs.. until he drops dead. Tons of laughs are a great way to celebrate the season in a corporate environment or in the privacy of your own home. Solve the mystery to determine who's naughty and who's nice! The countdown to Christmas has already begun! Time is running out and our available dates are becoming more limited, so contact us TODAY to secure your festive holiday fête!